The ProRep KPT005 Tortoise Feed Growing Kit has everything a person need to make editable weeds and perennial plants for their pet tortoise. 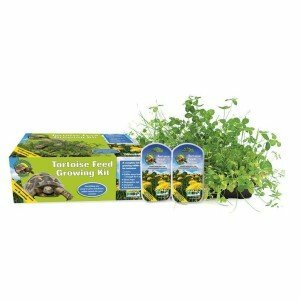 This kit will not grow grass but a blend of other greens that the tortoises feed on. Purchasing this kit will help a person save money. They will no longer have to purchase the costly greens at the grocery store. This kit contains the seeds to grow plants including dwarf mallow, wavy bitter cress, and red clover. There are many other plants blends that are good for the tortoises as well that may be included in the kit. Now you can grow sustainable food that mimics the food the tortoises eat in the wild. Also this kit contains all you need to give your tortoise food that has essential minerals, long fibers and vitamins. In the wild, tortoises wander around quite a wide area. They eat seasonally available food and different kinds of plants during the year. 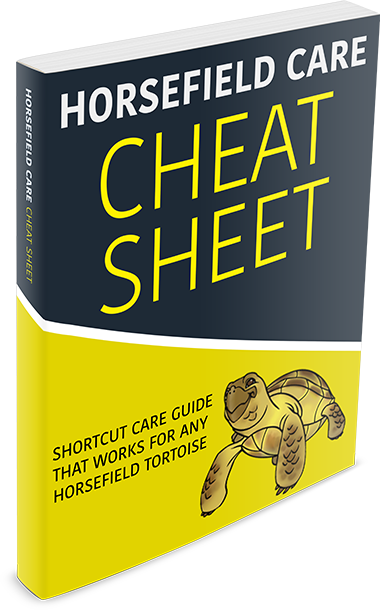 It is important to mimic this habit to make sure your pet tortoise gets a healthy and balanced diet. This kit ensures that you can provide quality food for your tortoise all year round. Tortoises are herbivores, and need a mix of vegetables and fruit. Fruit should only be fed sparingly and should always be removed after a few hours to prevent harmful spoilage. Sadly tortoises seems not to avoid food that is not good for them so it is up to us as owners to provide food that is not contaminated and poisonous. By using this kit, you can grow food that is not contaminated by pesticides and you avoid toxic and poisonous plants such as foxgloves and buttercups. Based upon research of a wild tortoise’s diet, the wild seed mixture contains a suitable blend of seeds. This kit is easy for even the beginner grower. This kit contains 4 sewings of edible weeds one large and two small seed trays, a top for the large seed tray, compost, and complete step by step instructions. The instructions are easy enough for anyone to follow. No special gardening tools or heating lamps are required for this kit. A person does not need a garden or to have any gardening experience to grow this food. The weeds will start growing within the time of one week. The shoots start to grow within a couple of day. There is not waiting around to see if they are going to sprout like most plants. When they are cut off to be fed to the tortoise the weeds will grow back as long as the roots are left in the soil. One kit can last a person for months.Also there are refill seed packages. The tortoises will love their new food that was specially blended for their diet.